DH Dental Clinic Lahore > News > Dental Checkups > 4 Myths About TEETH SCALING – Busted! Teeth scaling is a dental procedure with which plaque and tartar deposits that form on the teeth are cleaned or scraped away. While plaque is a soft, sticky film that develops on the teeth containing millions of bacteria which cause tooth decay, tartar is a hardened form of plaque that develops if the plaque is not removed on time. Tooth decay is a natural process that takes place with time but plaque and tartar deposits tend to speed up that process. 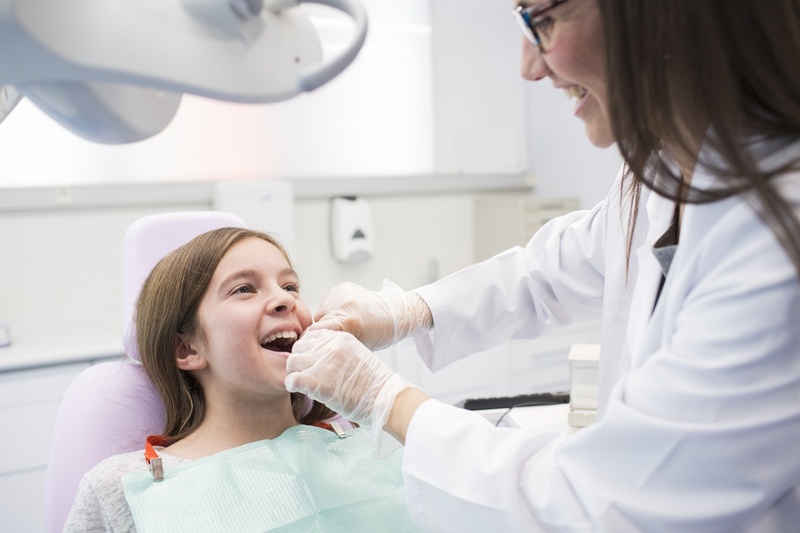 Teeth scaling involves a thorough cleaning of the teeth down to the roots. Teeth scaling is usually recommended when the gum disease is of a moderate level, in order to stop it from spreading, leading to further complications. When the gum disease is found to be severe, then teeth scaling is done prior to the surgery. 1. Scaling weakens the teeth and makes them lose – one of the most common myths surrounding teeth scaling is that it weakens the teeth. However, this is not the case. Scaling removes the elements deposited on the teeth that eventually lead to gum disease. When these elements are removed from the teeth, one feels the teeth weakened and lose. Scaling does not weaken the teeth as they are already made weak by the deposit of elements like calculus and plaque. 2. Scaling makes the teeth sensitive – with the onset of gum disease, the gaps between the tooth are filled with tartar. When this tartar is removed by scaling, the teeth get exposed to the oral environment and become moderately sensitive. In most cases, the sensitivity vanishes in a couple of days. 3. Scaling causes gaps between the teeth to increase – when the gum disease is progressing at a moderate level, the usual gaps between the teeth get filled by tartar which forms on the teeth. After scaling, when the harmful tartar fillings are removed from the teeth, patients feel that the gaps between the teeth have increased. 4. Scaling is painful – contrary to popular belief, scaling is a virtually painless process, with the patient feeling a mild scraping sensation on the teeth when the scaling is taking place. If you would like to make an appointment for our ultrasonic scaling, deep clean, and polishing package simply call DH Dental at 0322.336.8251 and visit www.dh.dental for more information.